Former Security Minister Lord West has accused Nick Clegg of withdrawing the Communications Data Bill from the Queen's speech "to score a political point". 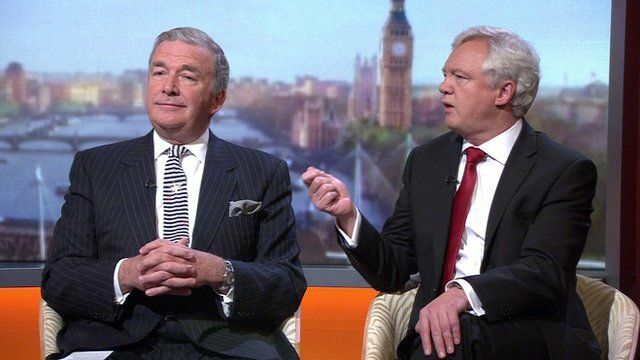 Speaking on the Andrew Marr Show, Lord West said Nick Clegg hadn't taken "full cognisance of what the implications of not doing this are". David Davis MP, former Conservative Shadow Home Secretary, defended Nick Clegg saying the Deputy Prime Minister had taken a stand on principle. In a studio debate about the bill, David Davis said it would not have helped prevent a single case. David Davis said the police already had access to too much data, but Lord West argued that the Communications Data Bill was crucial to prosecuting serious cases. The former Security Minister went on to say that there was a problem with the private companies who were actually looking into people's emails.